Apple didn’t recently announced just watches– They also show off the new MacBook, A major inclusion to its ultraportable line since 2010. And certainly, it was worth waiting for. Reducing even more from the MacBook Air’s already thin design, the new MacBook comes with a sharp 12-inch screen with a Retina 2,304 by 1,440 pixel resolution, and a thin bezel around the screen and keyboard. Thickness measures just 13.1 millimeters, just about 25 percent less than the 11-inch MacBook Air. The new MacBook is a combination of Apple’s past laptop lineup: a small portable case much like the 11-inch Air, and a larger, high-resolution screen much like the Retina MacBook Pro. at a glance, it looks to be the ideal macbook, which apple has been working towards since the first Air came out in 2008. 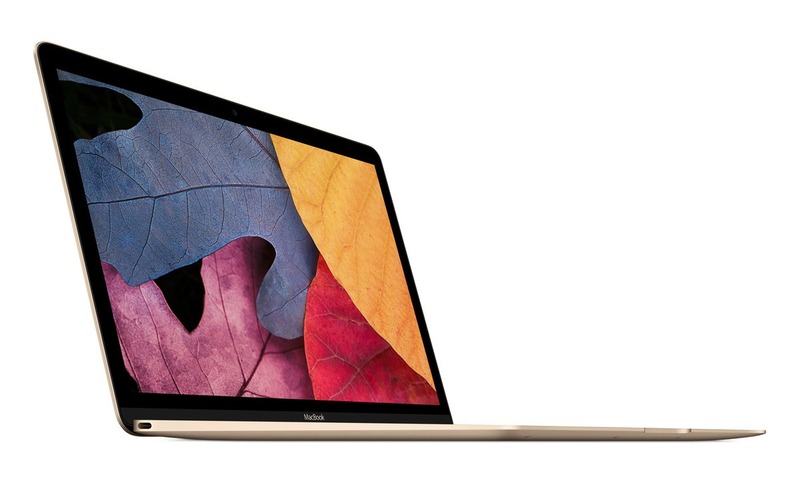 The new MacBook ships on April 10 and starts at $1,299 with a 1.1GHz Core M processor, 256GB SSD and 8GB RAM. There’s also a slightly more powerful model for $1,599 with a 1.2GHz processor and 512GB SSD. Apple reinvented much of its design for the tiny MacBook. first, Its keyboard, which covers pretty much the whole width of the machine, is 40 percent thinner than the previous MacBook Air, and the key caps are 17 percent larger. Its new “Force Touch” trackpad is not clickable, but it’s pressure sensitive, which opens up entirely new ways of interacting with your screen. You can press hard on an address shown on the screen and get that location shown on a map, for instance, or press down to preview files in Finder. The new MacBook is also fanless, thanks to the power-saving technology of Core M’s , and its specially designed battery should last for about nine hours of web browsing or 10 hours of video playback. Also, it looks like apple will be partying ways with typical ports. Aside from a headphone jack, the new MacBook features a next-generation USB-C port, the new port is so thin, even a USB cable was too big. The USB-C port will handle charging and typical USB connectivity .The new ports will obviously require buying new USB cables, but the faster 10 Gbps speeds should be worth it. Apple also unveiled two $79 dongles that will add USB 3 and HDMI/VGA ports to the MacBook. What can we take from this? it looks like Apple is bringing some inspiration from the iPhone and iPad over to laptops. Maybe thats why available colors are silver, space gray and gold. Now a tough decision will be to choose between a larger 13-inch Air and the shiny, new 12-inch MacBook. Apple is also upgrading its other laptops. They’re all getting new fifth-gen Core processors, which can extend several hours more of battery life, as well as Thunderbolt 2 ports. Apple’s top-end 13-inch MacBook Pro is also getting the new Force Touch trackpad.